Kewpie dolls, figurines and collectibles are based on the illustrations by Rose O’Neill that first appeared in Ladies’ Home Journal in 1909, and for the next 25 years in Woman’s Home Companion and Good Housekeeping. Kewpies became very popular and created a merchandising boom that was to last decades, and as we approach the centenary of the first drawings there is a renewed interest in the Kewpie character. Actual dolls were first produced in Ohrdruf, Germany, then famous for its toy-manufacturers. They were made out of bisque and then celluloid. Later in 1949, Effanbee created the first hard plastic versions. Over the last few years R. John Wright has produced a wonderful series of Kewpie dolls and in 2008 Charisma Brands have reintroduced a range Kewpie figurines. The story of Rose O’Neill reads like a fairy tale. Cecilia Rose O’Neill was born in Wilkes Barre, Pennsylvania in 1874. Rose was the second born child and the eldest girl. Rose honed her natural artistic abilities by copying pictures from the many volumes in her father’s library. At the age of 14, she entered a contest sponsored by the Omaha World Herald for the best drawing by a Nebraska school child. She was asked to come to the editor’s office to demonstrate her skill. She won a five dollar gold piece, and by the early 1890’s Rose began selling her drawings to publications as far away as Denver and Chicago, thus launching a career as a full-fledged illustrator. As legend tells, when Rose was 18, her mother sold the family cow to send her to New York to seek work as an illustrator. She stayed with the Sisters of St. Regis who accompanied her on her sales calls. Rose sold many illustrations to such periodicals as Colliers, Truth, Life, and Harpers. She signed her drawings C.R.O. to hide the fact that she was a woman. A year after she had moved to New York, Rose traveled to her family’s new home in the remote Missouri Ozarks. In her autobiography, Rose recalled, “The next day we went deeper and deeper into the thick woods. I forgot my fears and shouted with joy. I called it the “tangle” and my extravagant heart was tangled in it for good.” She named the O’Neill homestead Bonniebrook because of the little stream that ran along side the family’s cabin. In 1906 Rose was elected to the Societe’ des Beaux Arts in Paris. This honor included the privilege of exhibiting in the society’s Paris salon where her paintings and drawings met with much enthusiasm. 1909 marked the beginning of Rose’s life as a very wealthy woman. 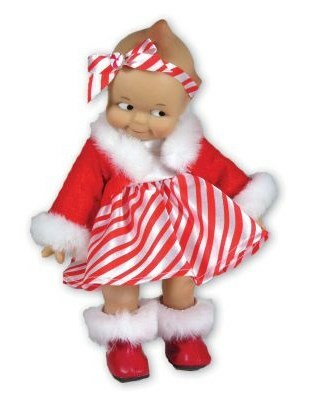 That year she created the Kewpies and they appeared in the Christmas issue of The Ladies Home Journal. They then appeared regularly in the Woman’s Home Companion and Good Housekeeping for the next 25 years. Kewpies became a phenomenon. A merchandising boom swept over the world in 1913 lasting for decades. Items from dolls to doorknockers were produced bearing the image of Rose’s Kewpies. Rose continued to illustrate for magazines, advertisers, publishing houses, and her monthly Kewpie comic pages. She was a workaholic, working well into the night. 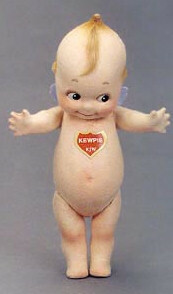 By the 1930’s, the Kewpies were no longer generating the kind of income they once did. Magazines began using photographs, as illustration was out of vogue. Rose had a difficult time finding work. Never down-hearted, Rose spent her “retirement” writing her memoirs, speaking at local colleges, and trying unsuccessfully to replicate the success of the Kewpie with a laughing Buddha character she named “HoHo”. Through the years, she made nearly 5,500 drawings and innumerable paintings both in oil and watercolor. She was a sculptor, inventor, business woman, philosopher, poet, novelist, children’s book author, and even a musician. Although Rose died impoverished in April of 1944 at the age of 69, there is no mistaking that she lived an extraordinarily rich and productive life.